There are three ways to write for online readers. Learn copywriting and how to write content for the Web below. You might have heard that writing for the Web is different than other writing. And you would be right. But it is not that simple. Your conversion rate, however you measure it, depends on directly identifying the style you need. There is no shortage of articles on how to write sales copy. 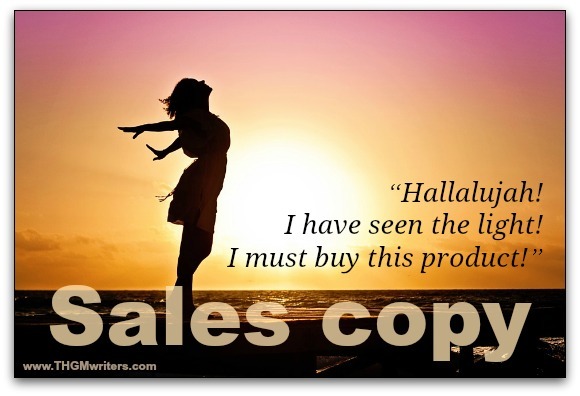 In fact, there is plenty of sales copy telling you how to learn to write sales copy. Sometimes sales copy also includes storytelling to demonstrate how essential the product is. Or how life will change the moment you own the product. Sales copy typically starts by identifying what is called a “pain point” – something that your target market is annoyed about. Or something that your target market clearly misses. Then the copy tells readers how the product will relieve the pain. Presto! No more annoyance. Presto! Void filled. This is amazing! The copy must overcome objections, one by one. No, don’t just overcome them. Bake them into a cake. Turn the objections into benefits your readers would be crazy to pass up. But wait! You also get a bonus. There has to be a bonus, because people love to think they are getting a special deal. And nothing says “special deal” like getting something extra for “FREE”. But Wait (again)! You have to create a sense of urgency, so that they are compelled to buy now. If readers wait, if you lose the momentum, if their “Hallelujah!” grows cold, they won’t return. They won’t buy. You won’t get their money. Remember that people don’t tend to read on the Web. They tend to scan. The more scannable your sales copy is, the better it will convert. And if you really grab the reader… ahem, I mean the scanner… the more likely they are to actually read your copy. Also called “how-to” text, task-oriented content is useful. People are searching for specific information to use. For instance, they might need to know how to do something. Like cook a turkey. Like buy a house. Like build a raft. 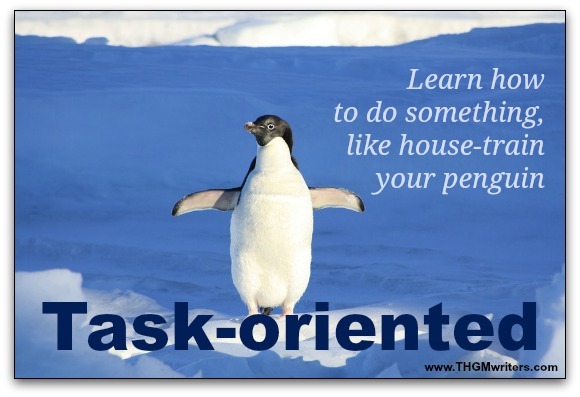 Like house-train their penguin. Or they might want to know what they have to do. What are the laws? What are the rules? What are their rights? Or they might want to complete a transaction, such as pay a parking ticket or apply for a passport. An excellent example of good task-oriented content can be found on Canada.ca. If you look at any of the content pages, you will see that they start by answering the most general information first and following with more specific information. Often there are in-page menus at the top, so that you can fast-scroll directly to the information you want. Rather than stuffing everything onto a single page, divide unique items onto different pages, and make sure it is easy to navigate to related content. Not just easy – obvious. Intuitive, even. People don’t read on the Web, especially on mobile; they scan. Lots of sub headings that tell people exactly what they’ll get out of each section of the page will drive up your conversions. Plain language is golden. Never use big words like “purchase” or “enormous” or “utilize”, when “buy” or “big” or “use” will do. Make sure your language is simple and clear. If your text is a challenge for people to read, they will leave or misunderstand. Accuracy is not just about being factually correct. It is also about making sure that the reader walks away with the right impression. On paper, space is limited. On a web page, attention is limited. Sure, the text can scroll forever, but your readers won’t want to scroll forever. After a few hours they’ll start to get hungry. That will make them grumpy. And grumpy customers won’t buy from you. Be concise. No jargon. No acronyms. No colloquialisms that an immigrant might not understand. See my post on how to KISS your readers. Use keywords naturally in your text. This not only helps people find your pages, but it helps readers relate what they see with what they were seeking in the first place. Focus on clarity and don’t get cute. Readability should be no higher than grade 6 to 8. You can measure it here. Storytelling falls into the category of creative writing. You might not think of that as “business writing”. True, storytelling is for literature and for news. But “news” can be a very powerful way to connect with your audience. And storytelling is for branding and building connections with your audience, as well. You don’t build connections with sales copy; you transact business. You don’t build connections with task-oriented content; you transact business. 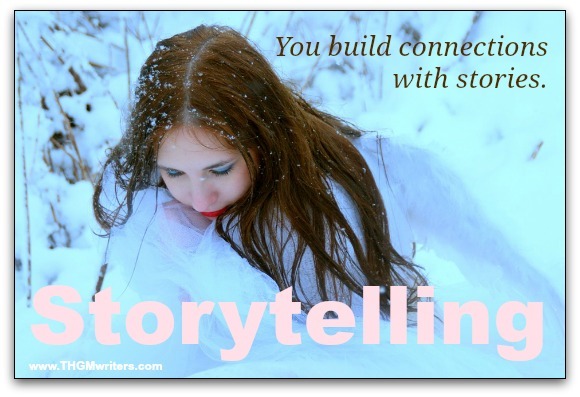 You build connections with stories. Storytelling could be recounting the experiences of your customers. It could be relating how you’ve provided exceptional service. It could be about developments in your industry. Much of your blog might be devoted to storytelling. Much of your social media might be devoted to storytelling. Your stories help your target market better know who you are. They help them relate to you. Always make sure there is a central character, real or imagined. Tell the story through that person’s eyes. Your conversion rate depends on directly identifying the style of writing you need. Before you start writing, define your goal. Are you trying to sell, to inform or to connect? Your goal will determine the approach you take. Once you have clarity on the approach, you can bring clarity to your readers. Yes, this is indeed an informative piece again for the web writers. The Three Tips are really worth to follow to get a permanent audience! Thanks Dave for sharing these secrets. I found this story’s notification today on the pages of Inbound. org. where this is curated. This is a stellar post, thank you! I’m going to share all over the place. Very informative indeed. Many writers forget essentials while storytelling. Storytelling and sales-copy needs to trigger the emotion in order to get maximum conversion or else it fails miserably. A beautifully crafted, information packed post. Loved the way you distilled the art of writing for the web. I was curious to see if you had included story telling within Sales copy so I read that section carefully. There is was, story telling, blended beautifully (and appropriately) within sales copy. The Blog post kept me engaged right to the end David. Enjoyed the read. Great tips on the three types of web writing. You’re right you should always start with the goal of your writing in mind so it comes out as it should. I hadn’t seen web copy sliced in this way. Thanks! Very useful! I love storytelling on my website. Because it keeps my readers intact with the content. Also, this technique helps me to explain the content easily to my readers. Storytelling is a powerful way of connecting with your prospects as it allows you to appeal to their emotions and make them see you empathize with their situation. However, in some tough markets where the audience is more educated, it can be quite difficult to sell your product through storytelling. Great tips, David. Thanks. Thanks also for your comment on my blog. I guess mine are task-oriented content. Do let me know if you have any further tips for my kind of content.